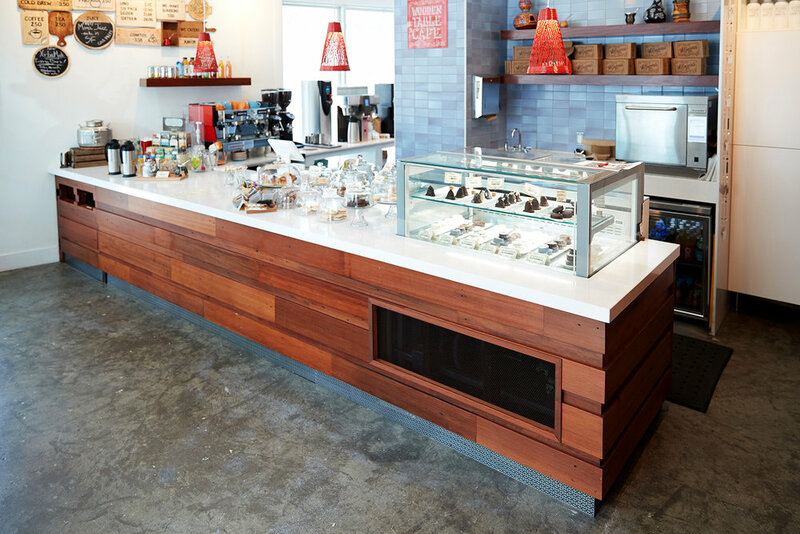 Wooden Table took over an existing retail space in downtown Oakland that was small, dark and cluttered. 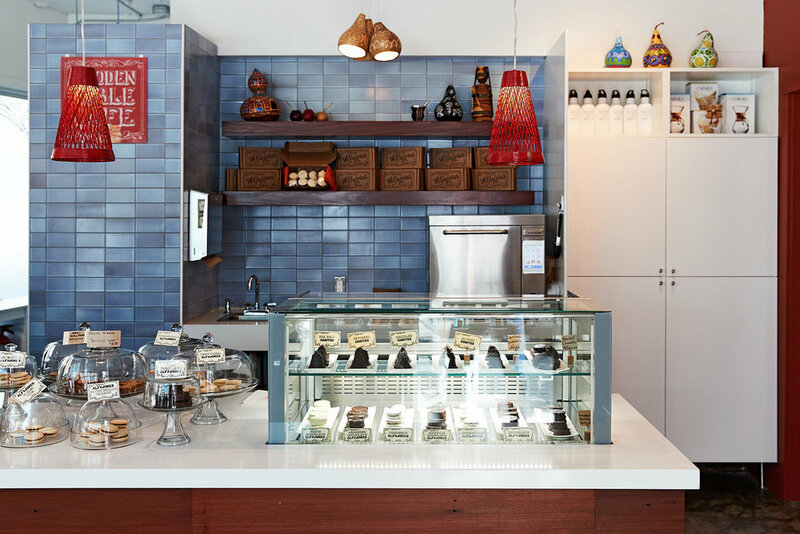 They quickly hired Lejarraga Studio to deliver a more welcoming, vibrant space for their Argentine cafe. 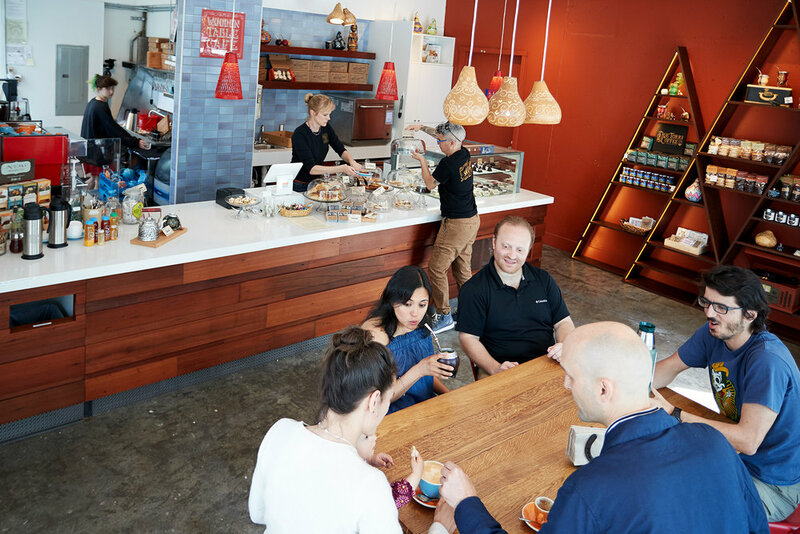 With no inches to spare, Lejarraga worked to maximize space, optimize work flow and enhance client experience, providing all new floor-to-ceiling finishes, new lighting throughout, and integrated storage and display areas. 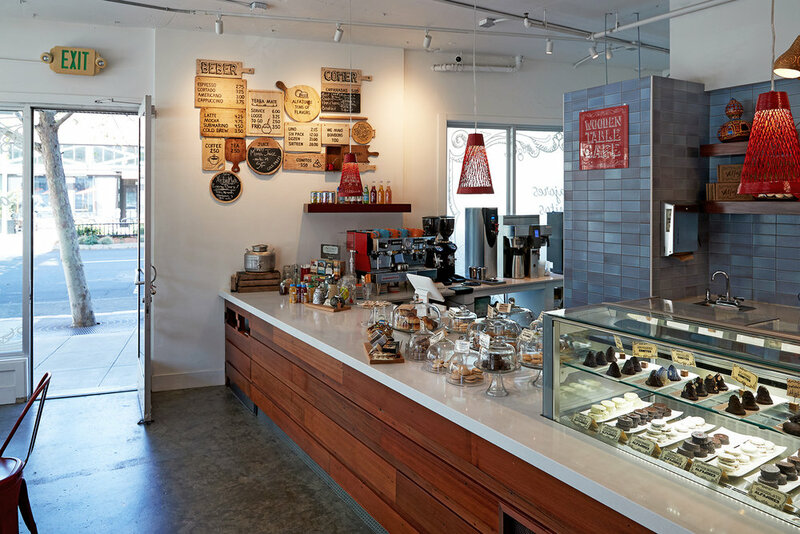 We added precision-crafted counters featuring reclaimed redwood sides to accommodate a new espresso machine, enhanced prep space as well as an inset refrigerated display case for fresh alfajores and conitos. The kitchen area received new refrigerators, dishwasher, sinks, and storage. 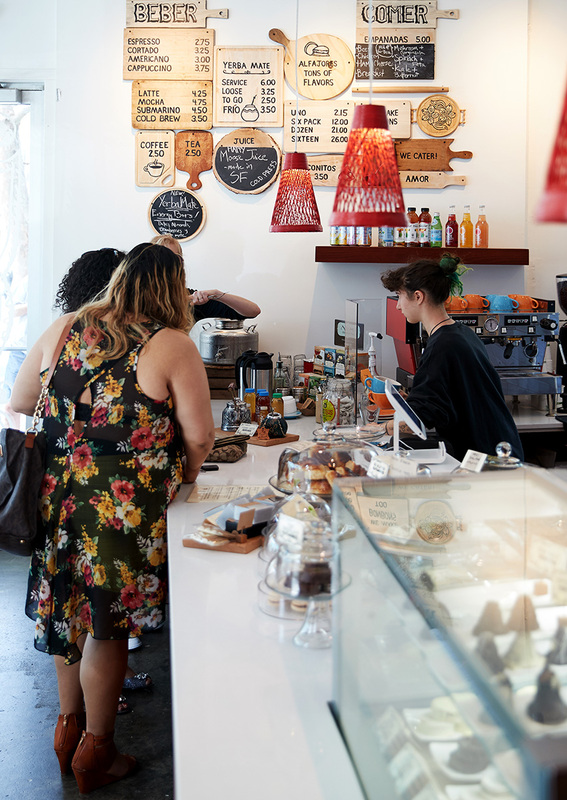 The result is a bustling, airy cafe where you can get fresh yerba mate any time of day. We delivered the project on an exceptionally fast time track, starting design in July and ready for a soft opening in October. Lejarraga Studio helped the client achieve ADA compliance and obtain all appropriate permits while designing and overseeing construction simultaneously.